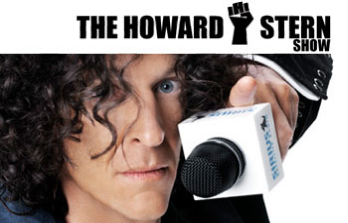 EDITOR'S NOTE: As the following press release points out, Porsche has decided to enter into an agreement to use XM Satellite radios as the standard for their vehicles, instead of SIRIUS Satellite, the home of Howard Stern (the King of All Media). I, for one, seriously question this decision, and say that I think they made a "Sirius" baba boo-boo. ATLANTA and WASHINGTON - October 30, 2006: Porsche Cars of North America, Inc. and XM Satellite Radio today announced a new long-term agreement to equip Porsche vehicles for the U.S. market with XM, the nation's leading satellite radio service. The arrangement begins in 2007. XM has been available as a popular factory-installed feature for Cayenne models since 2005 and will be the exclusive satellite radio option in the future. Under the new agreement, XM will also be available for other Porsche models in the future. Consumers who purchase a Porsche vehicle with XM receive a complimentary three-month subscription to the service. In addition to XM's primary service of 170 digital radio channels of commercial-free music and premier sports, news, talk, and entertainment, XM will also develop satellite-delivered data services for Porsche vehicles. These services are expected to include the advanced XM NavTraffic real-time traffic data service which is now available in 44 major markets nationwide. "XM has the technology and content that is consistent with Porsche's commitment to providing our customers the best possible driving experience," said Peter Schwarzenbauer, President and CEO, Porsche Cars of North America. "We are very pleased to be expanding our partnership with XM." "Porsche is renowned for performance, quality, engineering, and innovation, and XM is proud to be a part of that tradition as we extend our partnership with one of the world's great brands," said Nate Davis, President and COO, XM Satellite Radio. "The fact that Porsche is offering XM exclusively is a testament to the quality of the programming we offer and our leadership in advanced technology. It underscores our company's position as the leading provider of satellite radio for the automobile market, as well as the overall leader in the satellite radio industry."